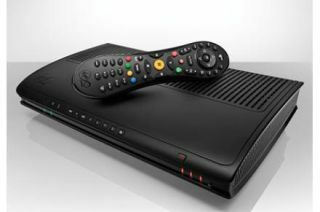 Virgin Media quadruples number of TiVo users; customers spend more on faster broadband | What Hi-Fi? Virgin Media says it has quadrupled the number of people taking its flagship TiVo personal video recorder since it was introduced threee months ago. The total number of TiVo susbscribers now stands at 222,000 households in the UK. The number of on-demand TV shows watched each month reached 80 million, an increase of 10% on 2010. At the same time, Virgin says more than half of its new customers are opting for its high-speed 30mbps broadband service, with susbcriber numbers up from 178,000 to more than 500,000. The figures were released today with Virgin Media's financial results for the first nine months of 2011. Revenues grew 2.2% to £1bn compared with the same period in 2010. Operating income increased year on year from £102m to £128m, while the company made a loss before tax on continuing operations of £74m, compared with a profit of nearly £10m the year before. Virgin still has total debt of £5.7bn. Chief executive Neil Berkett says: "Our results show that we're successfully serving what is a rapidly emerging market for better quality services. The demand for superior connectivity is accelerating as more people, regardless of their circumstances, recognise the best digital technology is worth paying more for."